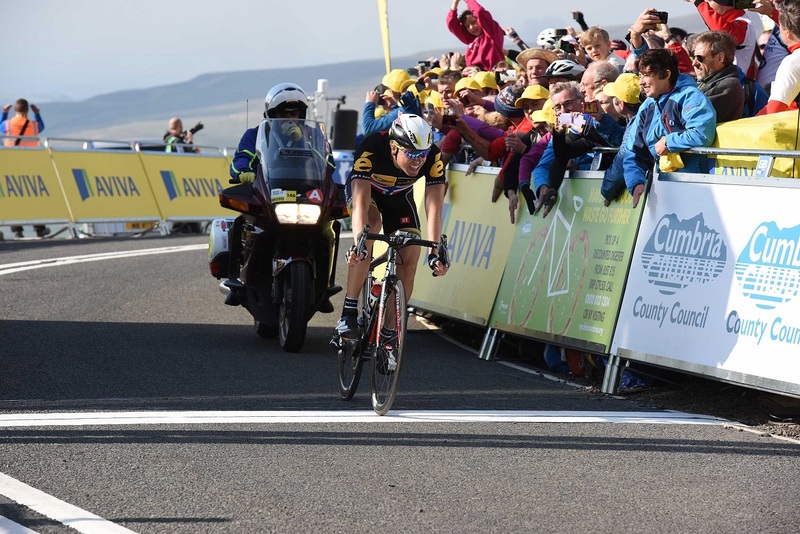 Wout Poels (Team Sky) took the win on the hardest stage of the Tour of Britain, with a last-gasp push to the line on Hartside Fell. MTN-Qhubeka’s Edvald Boasson Hagen looked set to take a surprise victory, with few expecting the sprinter to be in contention on the race’s only summit finish. His late attack was thwarted by Poels, with the Dutchman’s second wind pushing him past with metres to spare. The Cumbrian terrain was lumpy all day, and One Pro Cycling’s Peter Williams took full advantage. The Lancastrian was out in the break for the third time in five days, with his efforts rewarded with both the mountain and sprint jerseys. Breakmate and last year’s KOM winner Mark McNally (Madison-Genesis) beat Williams to the top of each hill, meaning there should be a grand battle for the polka-dot jersey over the coming days. 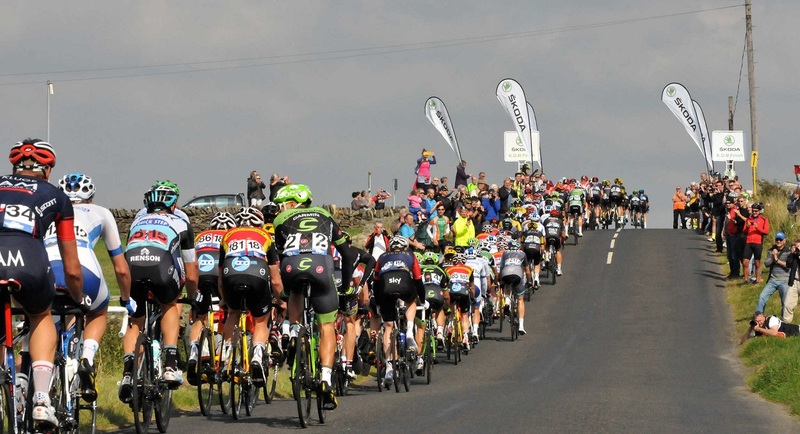 The break didn’t make it to the final climb though, as the combined work of MTN-Qhubeka, Team Sky and Tinkoff-Saxo ensured that the day would be decided by the GC men. Race leader Juan José Lobato was one of the first to drop from the peloton on the climb, and it wasn’t long before the first attacks came. Cannondale-Garmin’s Ruben Zepuntke tried to break free with 7km remaining, but his move was soon usurped by a more committed effort from Peter Kennaugh (Team Sky) and Chris Anker Sørensen (Tinkoff-Saxo). LottoNL-Jumbo’s Steven Kruijswijk and Poels were next to go, in a move that saw what was remaining of the peloton fall apart. With 3km to go it looked as though the Dutch duo would be contesting the finish, but Boasson Hagen had other ideas. As Great Britain’s Tao Geoghegan Hart and Alex Peters touched wheels and fell out of contention in the group, the Norwegian rode across to Poels and Kruijswijk. The Sky man tried again and again to get away, but the strong headwind in the final kilometres meant that he made no progress. The final kilometre loomed as Boasson Hagen made his final bid for victory, powering away from the small group of leaders. He made it a further 900 metres in the lead before he was caught, but is still in yellow tonight, his lead over Poels a miniscule second. It’s the third win of the race for Sky, with the British team sharing every stage with Etixx-QuickStep thus far. With the final weekend made up of two sprint stages, tomorrow’s stage from Stoke-on-Trent to Nottingham looks to be the only chance for Poels to overhaul Boasson Hagen for the overall win.